2011 has been a dynamic year for me professionally. Jen Prouty Photography has continued to grow and I have been blessed beyond words to photograph such amazing people. Even better, my relationship with many of these aforementioned people of amazingness have grown into genuine friendships that have enriched my life and I am incredibly thankful for each and every one of you whose paths I've crossed. So why the tears... On a personal note, 2011 has been a bit overwhelming. Much of my year, as well as, the last few have been spent worrying about my son. Jamerson (named after the famous Motown bass player James Jamerson) is a very atopic little guy. What does atopic mean? Super sensitive. To everything. Everything. Put a bandaid over a cut and two days later you pull it off to find the cut healed but a rash in the shape of a band-aid surrounding the area. Atopy (atopic syndrome) is a syndrome characterized by a tendency to be “hyperallergic”. He's dealt with eczema. (His face used to be such an itchy mess as a baby we literally had to strap his arms down when he slept so he wouldn't scratch himself bloody) Seasonal allergies. Food allergies (no peanuts, tree nuts, legumes, soy, eggs, or sesame for this guy). And of course, the one I loathe the most...asthma. Like a typical three year old, he gets lots of colds and viruses. 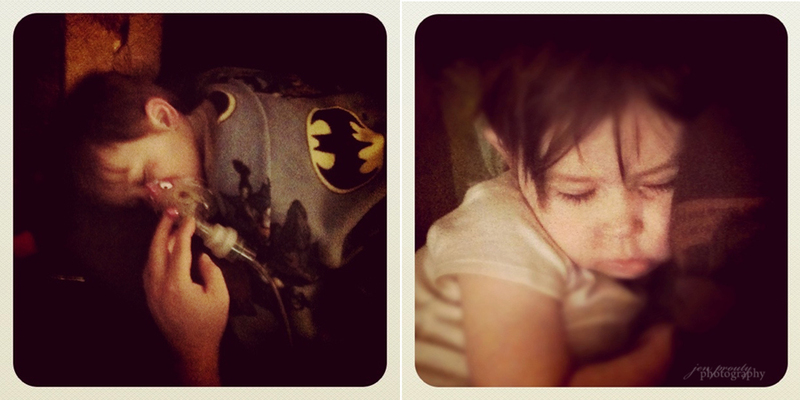 However, every cold and virus for a child with asthma turns into a battle to keep his breathing stable. To say the least, it is overwhelming. And frustrating to deal with things beyond your control. And to have your world stop every couple weeks as we switch from normal back into 'survival' mode. It gets old. It wrenches at my heart to see my little guy crying as he asks me why he gets sick so much...why don't other kids have to do breathing treatments everyday like him. To see him sick is what causes the lump in my throat. To see him like this. But thanksgiving isn't a day to throw a pity party. It is a day to give thanks. To look at the glass half full not empty. And so I am thankful today for my son Jamerson. Despite all that he has to deal with, he is still a relatively healthy kid. There are many children out there with way worse, more critical things they and their parents are dealing with. And so I am choking down the lump and refusing to look at the glass half empty. He makes me laugh. He shows me unconditional love I never knew was possible. He makes my life richer every second of every day. He inspires me. He gives my purpose I never knew I had. And even if we switch into crisis mode every couple of weeks, I cherish the weeks in between each episode. Weeks where if you ran into him on the street, you would never know it was the same kid who 2 days earlier was receiving multiple breathing treatments and meds. 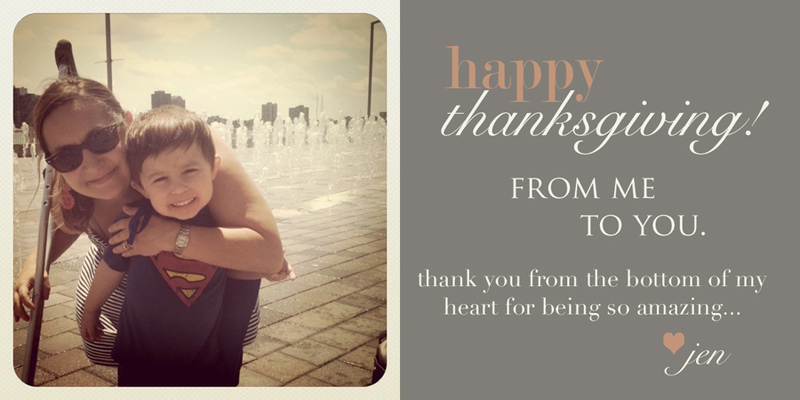 May you all enjoy your day of thanks surrounded by those you love. Here's to the start of a meaningful, and hopefully stress-free holiday season for us all!